I know Craig normally handles these, but he’s still seeing some of our mutual friends in the nation’s capital and he’s asked me to stand in for him. Hopefully I don’t disappoint. This week’s three Radio tracks come courtesy Nomoredolls, an Italian indie rock outfit that hails from Milan. All of the songs are cuts from their eponymous 2006 album, their only released LP to date. We’ve talked before about how broad and useless the term “indie” has become as a descriptor, and that sentiment holds true here – Nomoredolls isn’t writing lo-fi songs that belong in car commercials or Michael Cera movies, but aggressive, hard-edged rock numbers that have more in common with rock from the late 80s and early 90s. That’s all well and good, but inquiring Audiosurfers want to know – are they good rides? Let’s find out. “Another Girl” is defined by its driving bassline, which is why it’s disappointing that most of the song’s traffic is generated by the drums. This is probably my favorite of this week’s songs from a musical standpoint, even though its ride isn’t quite as balanced as the other two. This Jagged Little Pill-esque entry is a pretty standard-issue ride, and one that you’ll get when you plug most three or four minute rock songs into Audiosurf – gentle uphill verse/bridge sections populated mostly by purples and blues, broken up by more explosive choruses where you’ll find most of your yellows and reds. This ride’s best feature is the relatively steep slope that you ride to the song’s finish – it will have you scrambling to get your Clean Finish bonus. 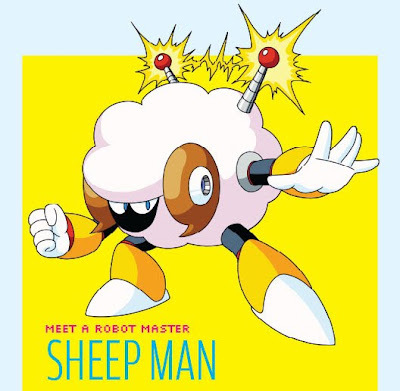 When lead singer Cecilia Miradoli starts talking about electric sheep, I’ll have to admit that the first thing I thought about was Mega Man robot masters (the second thing was Pokémon). I realize that is probably not the intent of the song, though, so I digress. The structure of this ride is nearly identical to that of “Another Girl” – uphill verse/bridge, downhill chorus, steep downhill ride to the finish line. There are two reasons why this is the superior ride, however, and they’re also the reasons why you should play this song – the traffic congestion, while only 13 points higher than that of “Another Girl,” makes the ride more engaging, and on the downhill sections dense blocs of blocks will be heading your way almost constantly. Secondly, it’s a more balanced ride – sometimes you’re riding Miradoli’s insistent vocals, sometimes you’re riding the lead guitar, sometimes you’re riding the rhythm section. It’s a great Audiosurf song, one that shows what the game can bring to tunes you’ve heard dozens of times before. I still think “Electric Sheep” is the best overall ride of the week, but there are plenty of reasons to recommend “Deadly Foe.” The lurching verses have the track bumping up and down like a carpet that’s being shaken clean. The standard Nomoredolls rush to the end of the song is, if anything, even more intense here than in the other two selections. You’ll cheer every time you hit a red paint, and you’ll swear every time you crash and watch waves of traffic pass you by. All songs were played twice on the Pro difficulty using the Eraser character. Anyone who’s reading this without having played Audiosurf (including non-gamers!) should really check it out.